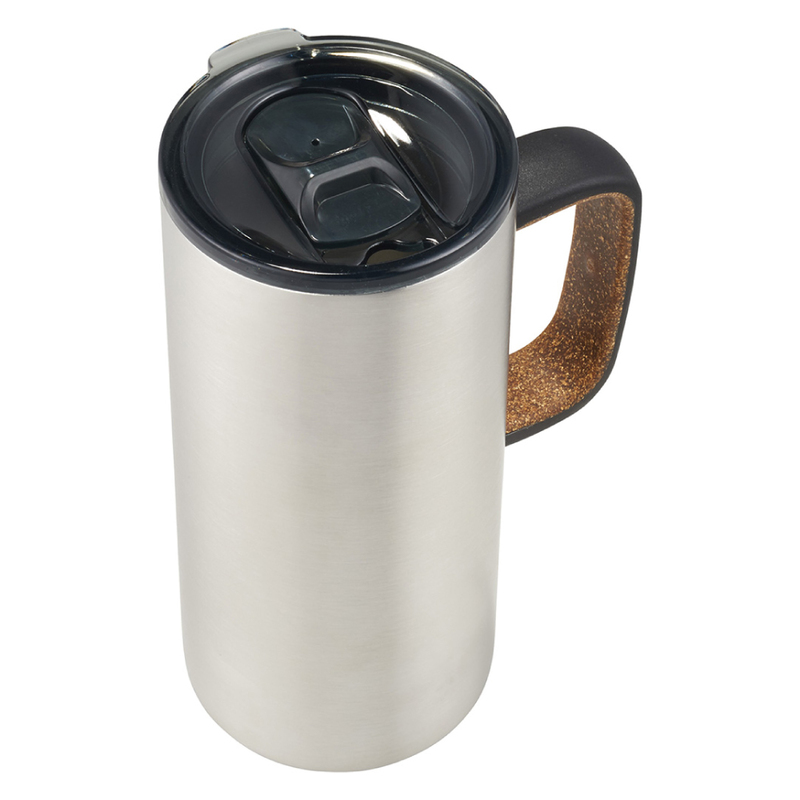 With on-trend style and superior double wall copper insulation these mugs outperform the competition. 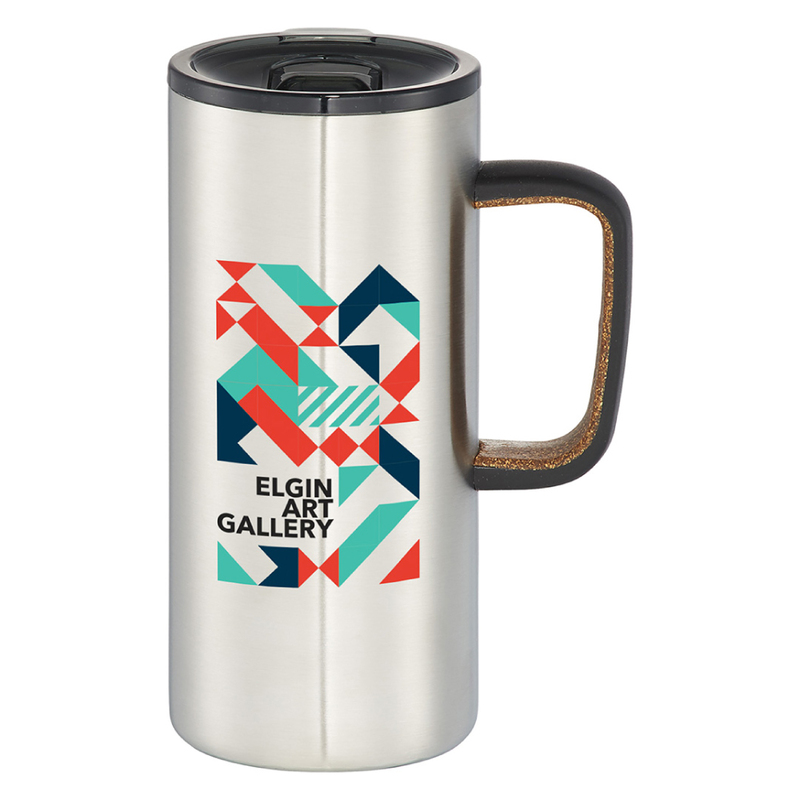 Put your logo in the best light with these on-trend copper vacuum mugs. They feature a cork handle design with a durable double-wall stainless steel construction with copper insulation. 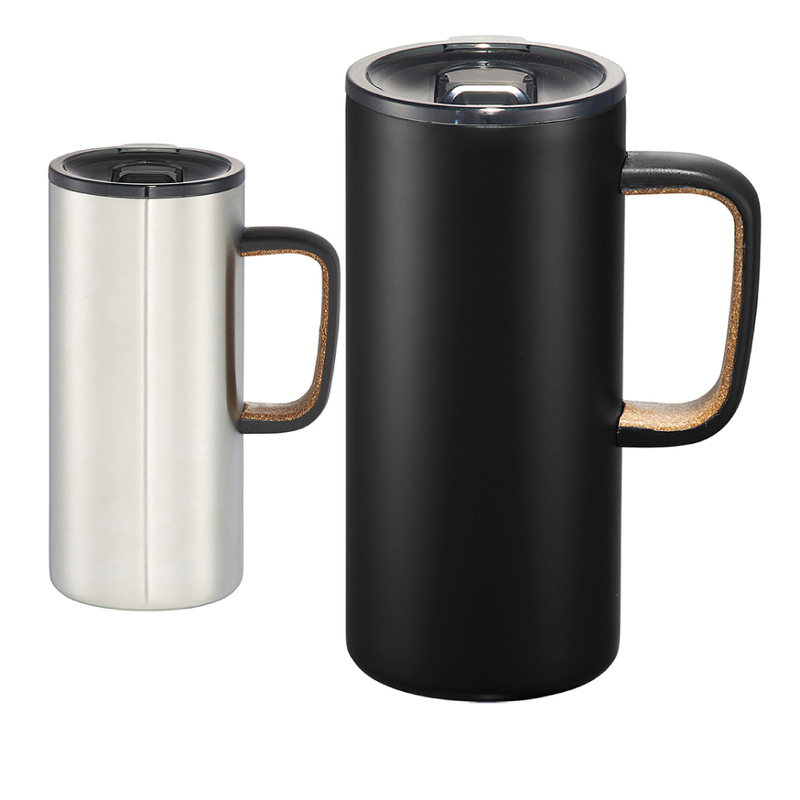 This will keep beverages cold for 24 hours or hot 8 hours. 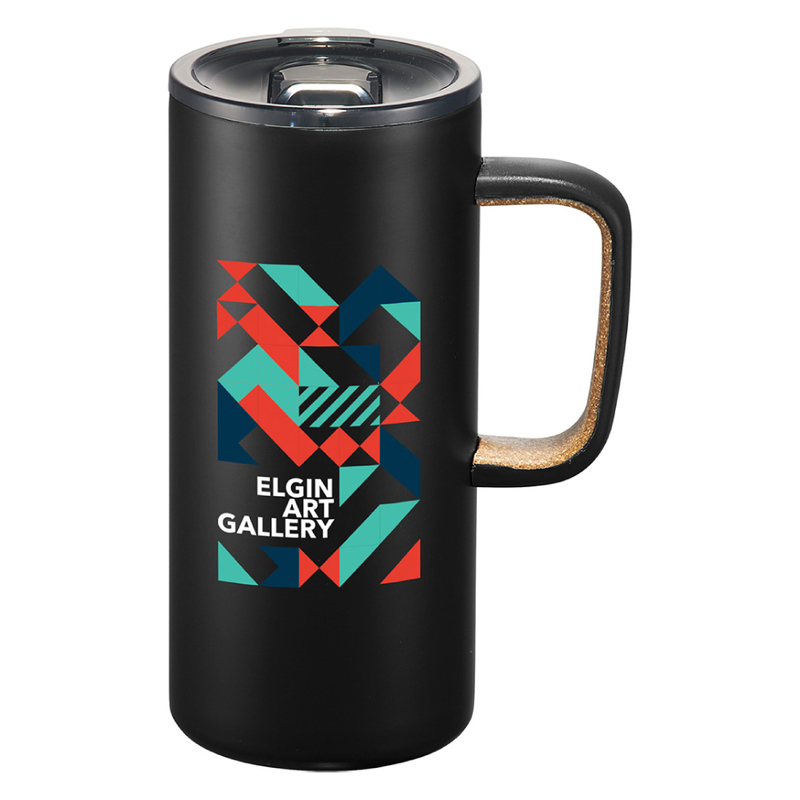 With a number of decorations available these metal mugs offer a great medium for marketing.